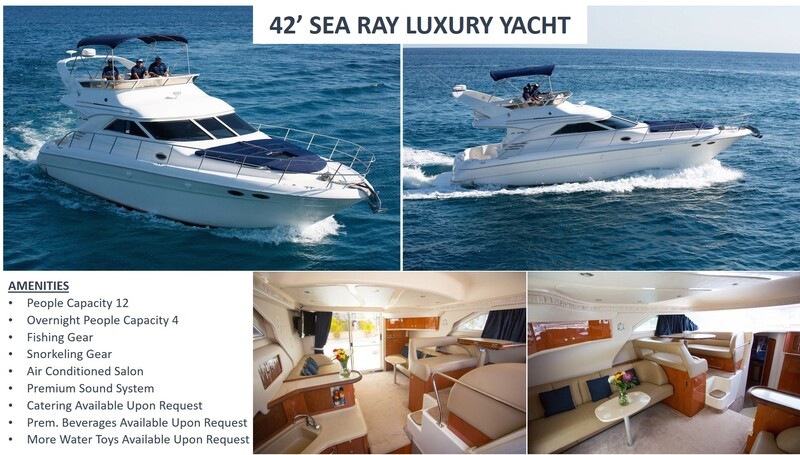 Check out our 42 foot SeaRay with Command Bridge. 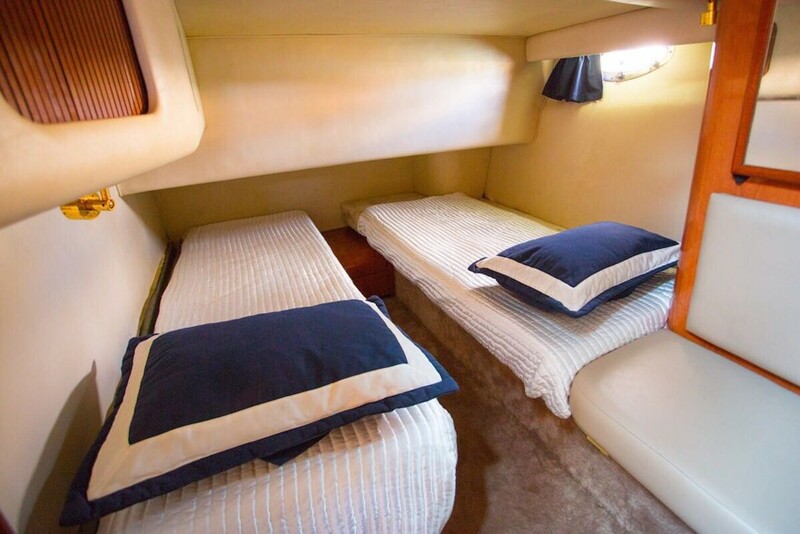 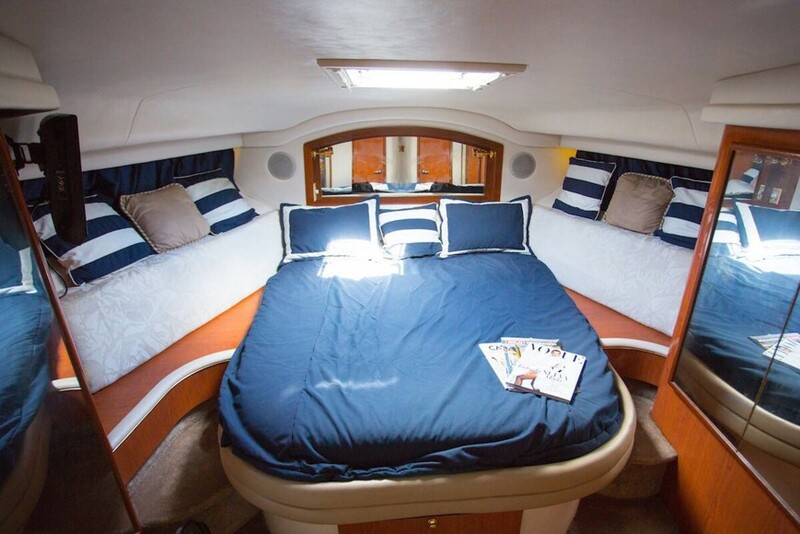 This yacht has 2 bedrooms and 2 full bathrooms. 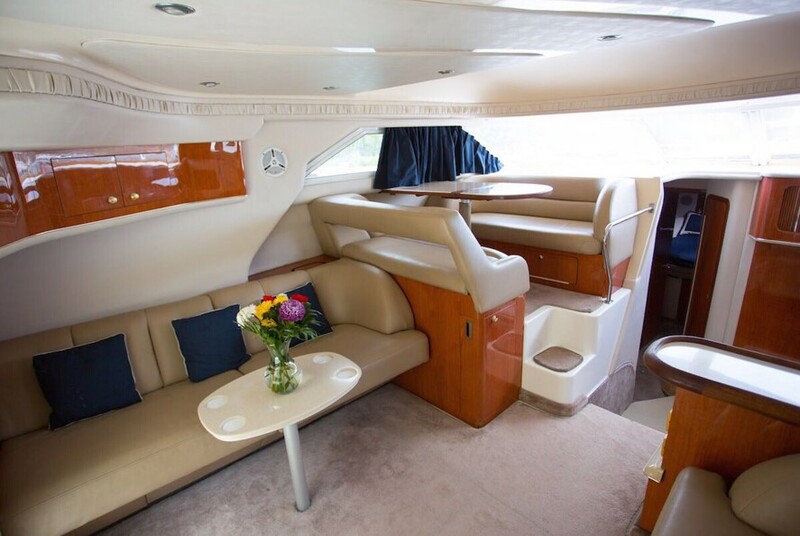 A spacious salon and a great second level to take in the views. 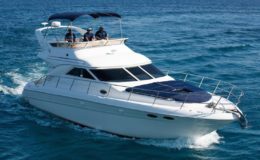 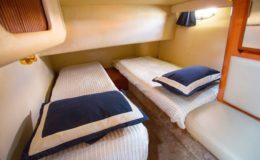 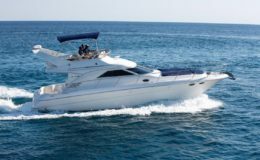 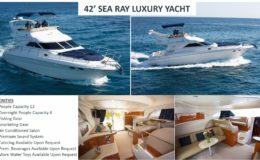 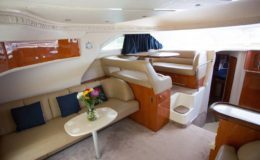 A capacity of 15 for day charters and 4 for sleepovers, this vessel provides both luxury along with a comfortable design. 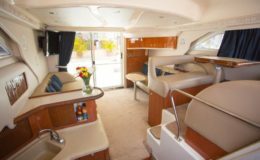 The crew, snorkeling gear and fishing tackle are standard with all charters. Water toys, catering and premium beverages are all available upon request. 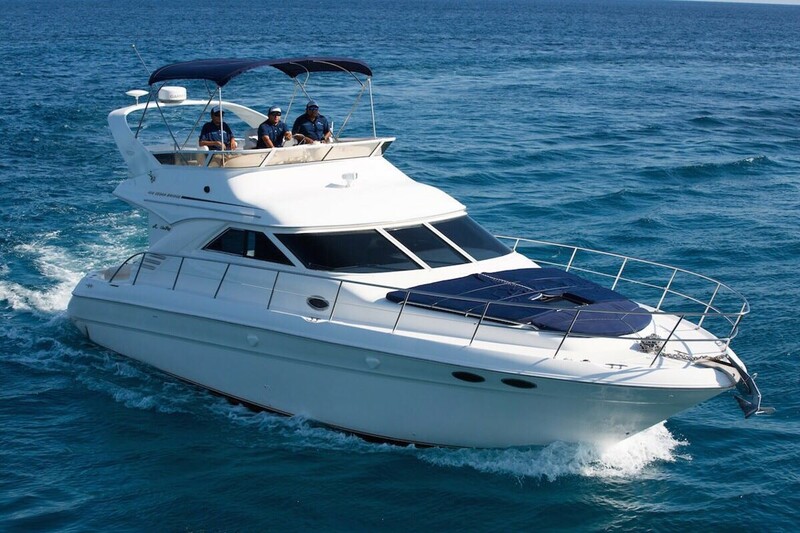 This vessel is located close to Playa Del Carmen for those who are reluctant to make the drive to Cancun. 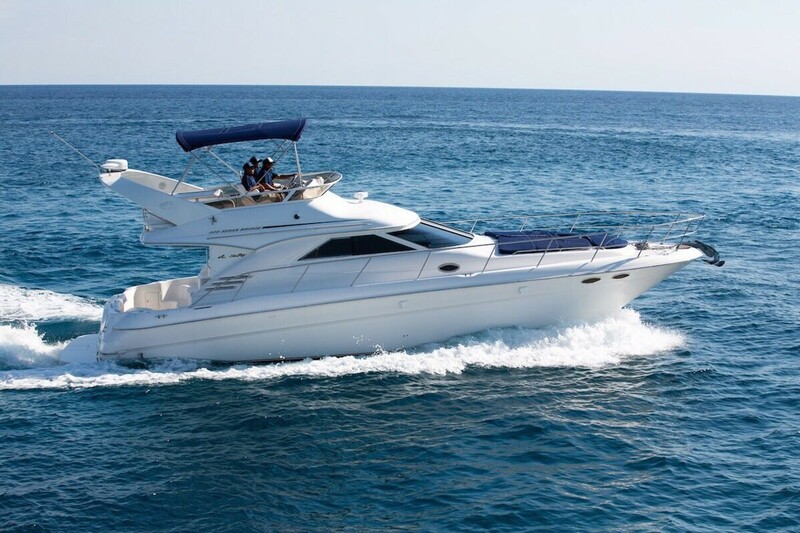 Make a full day of it and go across the waters to Cozumel.